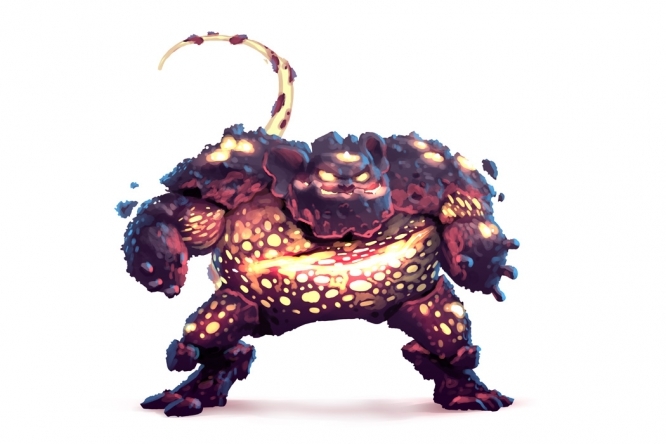 The Meteorite Golem is a breed of mouse found in Fort Rox. They are known to drop Bloodstone, Howlite, and Meteorite Pieces as loot. A mighty golem assembled of pure meteorite and the magical energy that flows through it. These mighty golems were assembled to defend the fallen meteor from thieves and miners that look to steal it. Meteorite Golem mice have no specific preference for any kind of cheese. Arcane traps are very effective against the Meteorite Golem. Shadow traps are of normal effectiveness. Meteorite Golem mice can only be encountered during the Midnight, Pitch, Utter Darkness, and First Light phases at Nighttime in Fort Rox. This page was last edited on 22 November 2016, at 13:19.